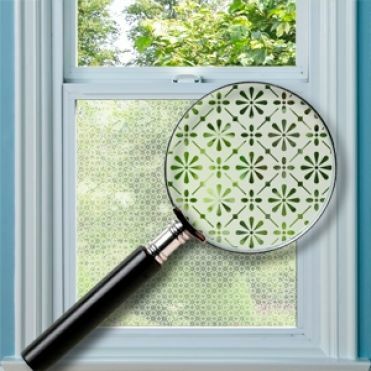 Contemporary patterned window film designs consist of repeat patterns printed in colour on frosted window film, or left as see through within a frosted background. Made to measure. Also available as a house number.